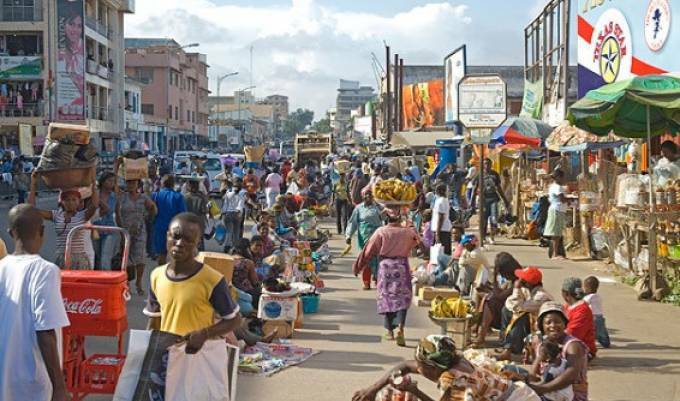 The Vice President of Ghana Institutes of Planners (GIP), Alfred Kwasi Opoku, has insisted that unless the long-term national development plan framework is legally binding on governments, it will be difficult for the country to implement its 40-year development plan. “A binding national development plan on all governments is the only way to guarantee its implementation to speed up socio-economic development for the country,” he said. Speaking at a panel discussion programme supported by the Business Sector Advocacy Fund (BUSAC), Denmark Embassy and the United States Agency for International Development, Mr. Mr Opoku said: “After preparation of the plan document, what we can do is send the agreed document to parliament, where a law will be crafted and put on it so that this thing is a national document and accepted by all”. This, he said, is going to ensure that whoever comes into power will follow it. The language should be in a regulatory form such that no government can bypass it. He indicated that the long-term national development plan must be binding on governments, in that the country has seen a number of development – mostly medium-term – plans in the past, but because they were not binding on various governments their implementation was not good. Currently, the National Development Planning Commission (NDPC) is collating views and inputs of Ghanaians from all strata to draft the 40-year national development plan, which many development experts believe is the surest way of ensuring the country’s future is sound. Director-General of the NDPC, Dr. Nii Moi Thompson said: “In terms of the issue of whether it is binding or not binding, parliament passed a law, Article 815 2011, which said there must be a long-term national development plan approved by parliament. “I would like to think that if parliament approves something it is binding on all of us. If parliament passes a law, there are regulations as to how the law is to be implemented. So once parliament approves the plan, it will be their responsibility to prescribe sanctions,” he said. The Chief Executive Officer of the Private Enterprise Federation (PEF), Nana Osei-Bonsu, maintained that if the country does not have a legal binding on the leadership, all the documentation, the participation and the grassroot canvass and consultations will not have much impact. Nana Osei-Bonsu said: “We are talking about two things — the constitution and parliament. Can parliament enact laws that usurp the constitution? I don’t think so. Article 815, 2011, allows certain things to be done, but the President says: ‘I am not bound by it, and I am not going to follow it because the constitution allows me to do ABCD’. The Executive Director of the Institute of Democratic Governance (IDEG), Dr. Emmanuel Akwetey said: “If you go to South Korea and even the Indian Development Planning Commission, these are super-nationals. “The development plans themselves usually have a strong political leadership behind them, and they are also supported by technocrats, especially in South Korea, India, and Malaysia”. “In all these countries they are like super-ministries and have enough power, which they derive from the laws or from their founders,” he added. Dr. Akwetey explained: “Before setting up the institutions, they were able to conceptualise their roles. As the planning authorities of those countries they have access to MDAs, and when they set targets they must be followed and monitored. He added: “In Ghana, we do not have all these things. After Kwame Nkrumah we have never taken planning very seriously in this country. We fail to build the institutions, we discard planning, and we don’t have strong champions. “In the 1990s when the NDPC was set up, the country had just returned from the era of structural adjustments, and development planning was put back on the table with certain clarity of vision — 5 years and so.